Staff are great. Attentive but relaxed and give you space to enjoy the cafe while making sure that everything is taken care of. Department of Coffee showcases the best of Kiwi hospitality but with a uniquely London grittiness. Perfect. Almost like a slice of Shoreditch and Hoxton made it’s way to within earshot of the city. The coffee is smooth, milk is velvety but with not quite enough foam. A solidly excellent coffee but not layered as well as it could be. The taste is spot on though. An introduction to Department of Coffee and Social Affairs from Miles Langley on Vimeo. Department of Coffee is an example of where being the perfect cafe doesn’t just have to be about perfect coffee. Judged on coffee alone DOCSA would be a top 20 cafe but on overall experience it’s a top 5 in London and a truly world class cafe. Both Young and Foodish and the Cafe Hunter loved Department of Coffee so I’m sure you will to. The closest tube is Chancery Lane. 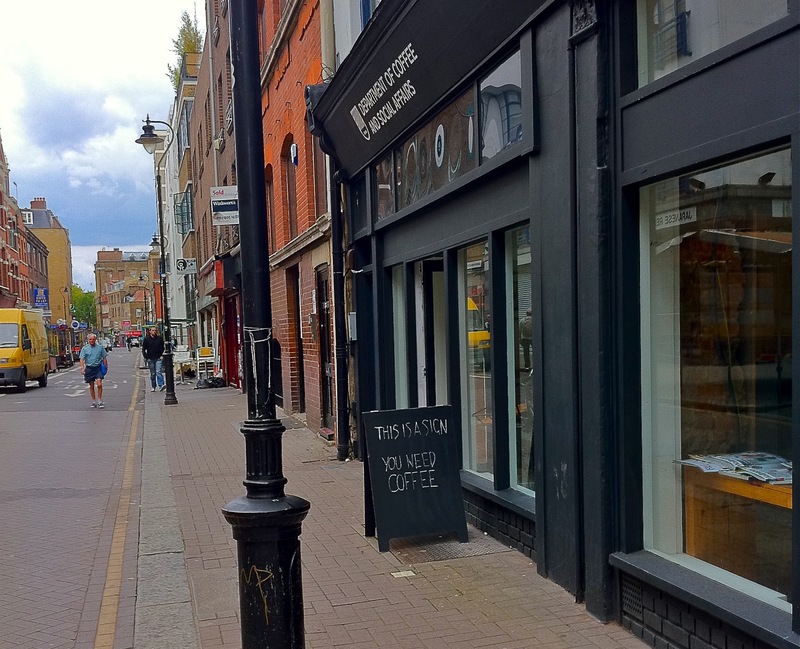 Rather than competing with Prufrock (also in Leather Lane) I’ve found that having these two great cafes so close together has been a perfect complement to each other. DOCSA wins for food, chill-out vibe and lingering. Prufrock wins for fast, focused and clinically perfect coffee. A wonderful duo. Previous Previous post: What is a flat white?